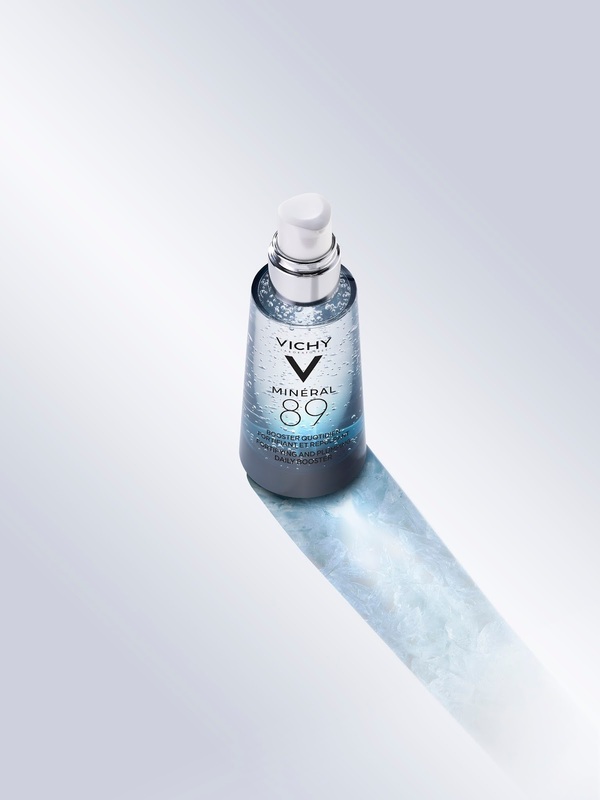 For the first time the Laboratoires VICHY have created a revolutionary formulation around the Vichy Mineralizing Water: this precious thermal water is both a component and and a key element of the formula. 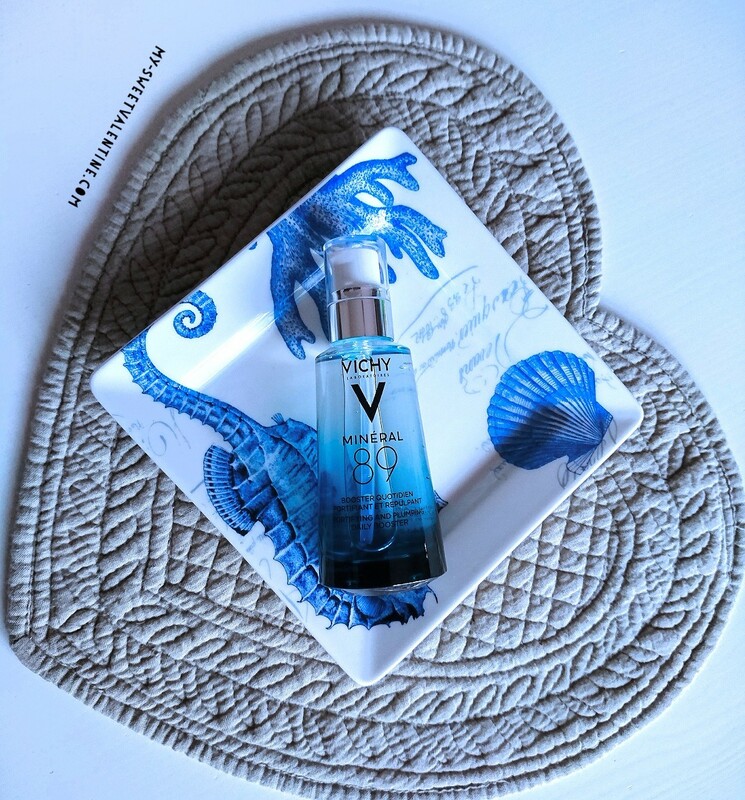 Combined with highly active ingredient hyaluronic acid, the new formula brings together these two components in a high concentration. The result? The new Minéral 89. 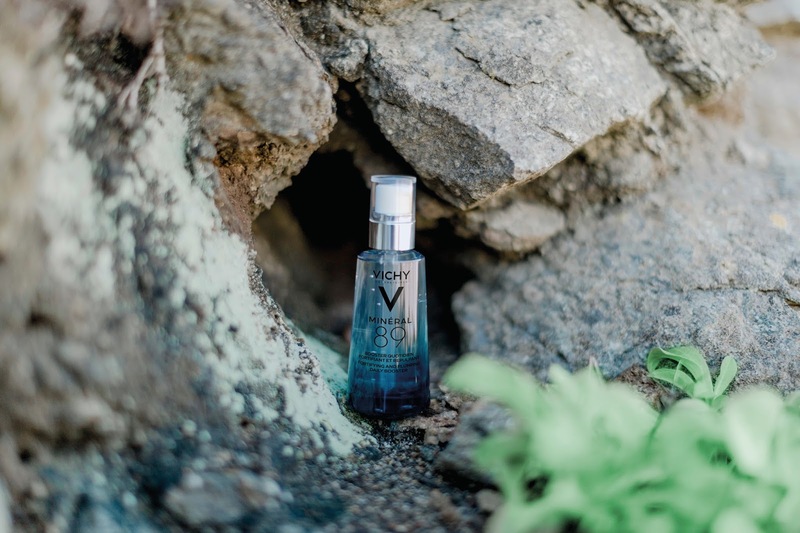 89% of Thermal Mineralizing Water paired with the highest concentration of natural hyaluronic acid to improve the skin's resistance. 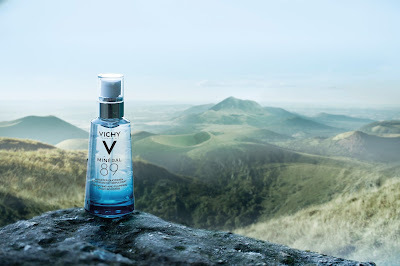 Minéral 89 gives skin its daily dose of orce to make it more resistant against external aggressions such as Uv rays and pollution but also stress, fatigue and unbalanced diet. Minéral 89 is a fortifying and replenishing daily booster, suitable also for the most sensitive skin with a simple formula with only 11 elements. Hyaluronic acid is one of the most populat anti-aging agents and has the ability to bind very large quantities of water. The high concentration of Hyaluronic acid in Minéral 89 has an hydrating effects, reduces wrinkles and improves the elasticity of skin. The Vichy Thermal Mineralizing Water contains a high concentration of 15 natural minerals. It balances the pH, nourishes and strengthens skin and makes it more resistant against external aggressions. The two active substances associate with the surface of the skin form a fine matrix and thus manage to act more eciently than each would do separately. This network acts as a shield to protect skin against external aggressions and also improve cell cohesion: thanks to this, the structure of the skin is reinforced and excessive water loss is prevented. Minéral 89 is easily absorbed and it is the perfect base for every beauty routine, its gel texture feels fresh and disappears immediately, ideal to use before a serum or day cream. Day after day, skin is hydrated, plumped and looks radiant. Operation Perfect Body with Collistar! Protected in the sun with Columbia sportswear!